Many clients go on to tell me their issues, and allow me the opportunity to help them. Occasionally, they bring a problem that is completely new to me, and other times it’s something as simple as adding a printer to their network. I truly love solving problems for people. Other things they want are faster operating computers, easy to access and find information, useful websites, and software that works the way they want when they want. Achieving these goals and desires can be difficult. They require constant communication and evaluation. I know this may sound crazy, but sometimes it doesn’t work out. When that happens, it’s important to do an analysis of what went wrong. 1 – Failing to understand the actual problem. 2 – Failing to define the limits of a chosen solution. 3 – Failing to properly evaluate the proposed solution. Let’s take the example of someone with a flat tire. 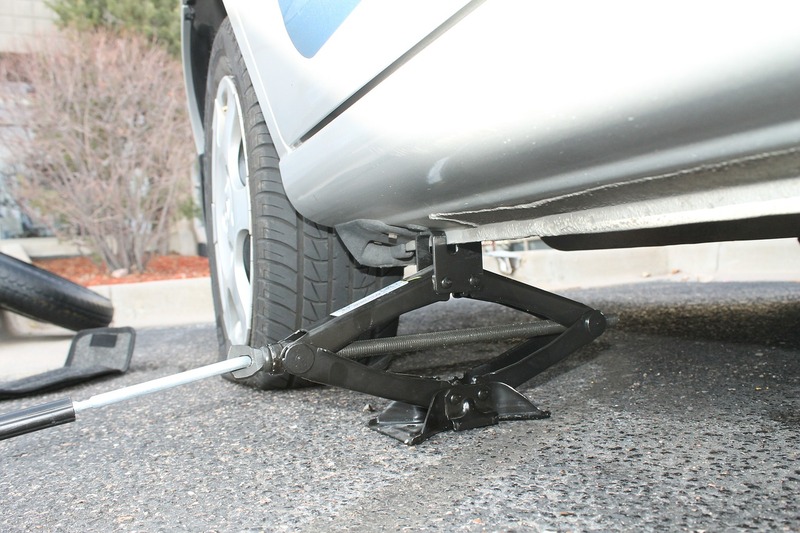 We see them on the side of the road with the flat, so the quickest solution would be to pull over and help the person use their own spare and tools to fix the tire. Makes sense, right? But what if they don’t have a spare? What if their tools are missing? Or, what if you notice that all the tires are dry rotted and need to be replaced? Do you tell the stranded motorist that they will be needing new tires soon? How soon will they need them? How long it is going to take for you to change the tire? Do they make tires compatible with the vehicle they drive? Well, the last question doesn’t work as well as the rest, but I am sure you see my point. It is my job as a professional to effectively communicate the potential, as well as the actual, problems I see. Access to the full picture gives the client the opportunity to provide feedback on these issues. If I alert them to the fact that they need new tires, and they decline, I am no longer obligated to provide them with information or a solution. However, if I ignore or fail to report the issue, I’m not giving them enough to make an informed decision. This applies whether it’s an issue as simple as a flat tire, or as complex as compatibility issues with compiled programs or scripted solutions. Thorough, honest communication on both sides is crucial. I leave all possible avenues open for communication with my customers. I encourage all of my employees and sub-contractors to do the same. Phone calls, email and text messages are on the table. Questions, complaints and even suggestions are welcome. The only way I can help you is to truly know your problem. The only way I can know the problem is to hear what you are saying. And the only way I can hear what you’re saying is if you’re communicating in the first place. I’m sure you have run into similar challenges in your own industry and others. Attorneys require honesty from their clients. Mechanics often find additional problems while they are working, and they will alert you. Likewise, whether we are building a custom application or fixing a disconnected network, the more information the better. That is where a true solution happens. If you’re running into frustrations with your technology, try to look at the root cause. Does the internet keep going down? Instead of continually resetting the router, maybe somebody needs to replace it altogether. Does your email keep throwing up random errors? Instead of hitting “ok” and moving on, take the time to examine the cause (with help if needed), to eliminate the problem for good. Accurate solutions make for a better work and life environment. What problems do you solve for your clients in your own industry? How do you “read between the lines” to find a solid solution? As always, if you’re having a problem and need advice or another pair of eyes on it, we’re here for you! ← Are You Trying to Offer Everything to Everyone?